Microsoft today announced a new version of the Xbox One S without a disk drive. 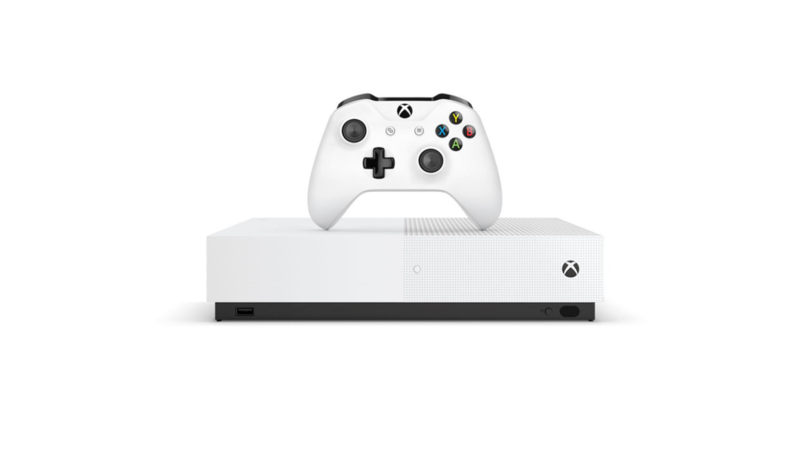 This new Xbox called the "Xbox One S All-Digital Edition" will be priced at $332 CAD ($249 USD) and will be available to customers starting May 7th. Microsoft is bundling three digital games along with the new console. Forza Horizon 3, Sea of Thieves, and Minecraft will all be available as a free download alongside the purchase of the console. Users can store these games on the new 1TB Hard Drive built into the Xbox One S.
“The Xbox One S All-Digital Edition is $50 less than Xbox One S, and we expect to maintain at least this price difference between the two consoles,” explains Jeff Gattis, general manager of Platform and Devices Marketing at Microsoft.